The Mystic wedding earrings are a gorgeous set of shiny pearl gems and surrounding crystals. 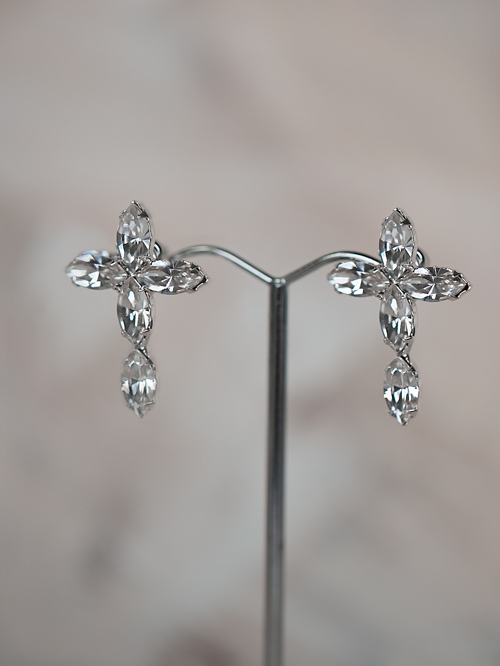 A pair of lovelies that will be easy to match to your wedding gown. 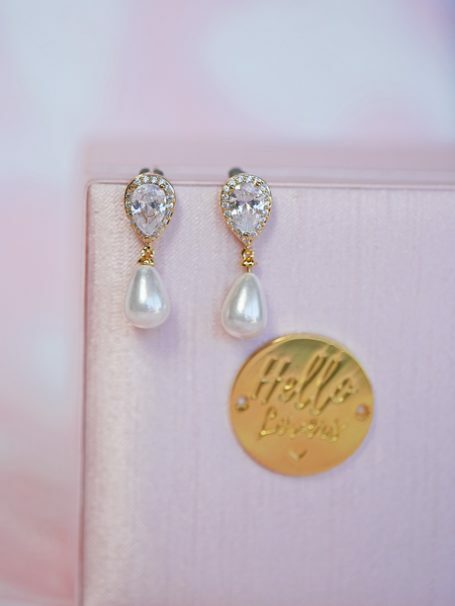 Come on mystic adventure with these pearl drop earrings, these little beauties are a classic wedding earring that will stay in style for years to come. A medium small white pearl drop is featured on each earring with a pear shape crystal on the top surrounded by smaller diamonties. 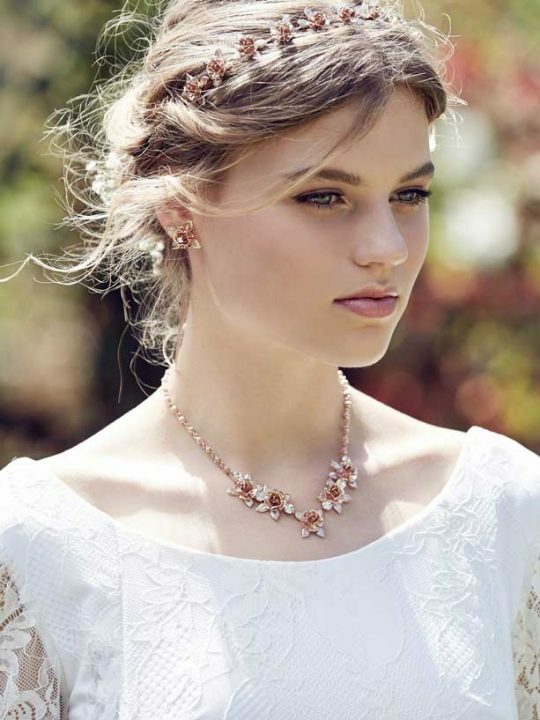 A part of our Halo collection classic wedding jewellery pieces that will transcend time. Match with our pearl hair pins and our pearl shoulder necklace like shown in our main image. 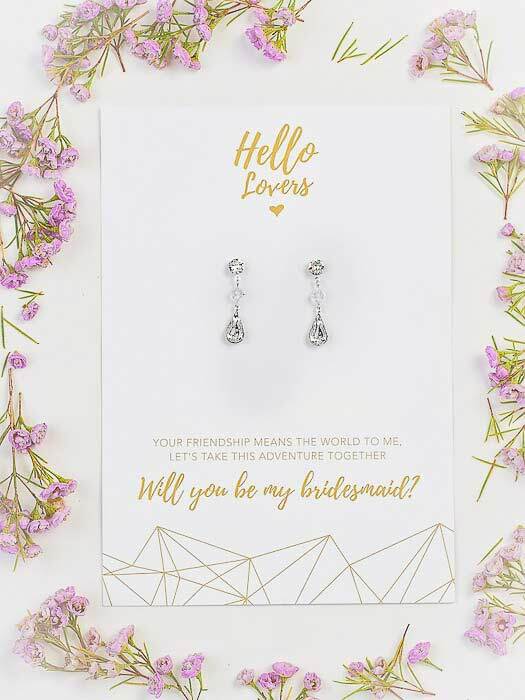 Our wedding earrings make delightful gifts for your loved ones, they come nicely packaged in a pink silk box. So you don’t even have to worry about gift wrapping. 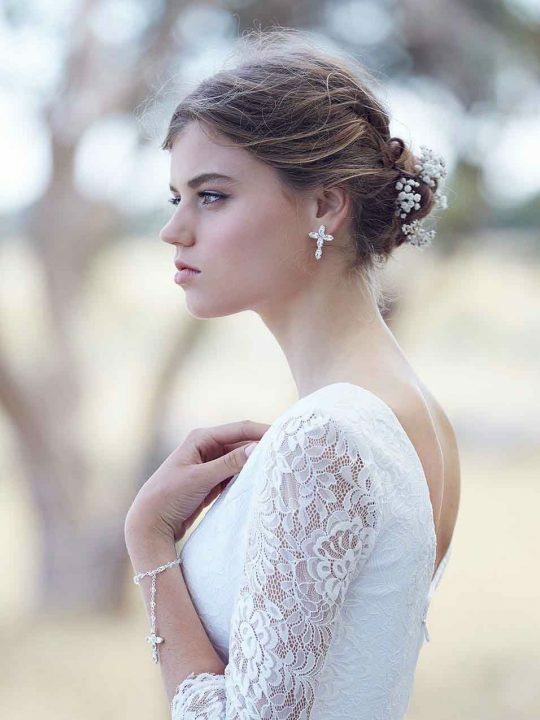 How gorgeous is this shoot! we used Melbourne local wedding photographer Dewinta Dandot, enquire if you are looking for some mystical wedding photos.